A shiny, lively, and green lawn is attractive and appealing to the eyes. As every home owner’s dream, it enhances the aesthetic value of your home. More than that, it gives you a sense of accomplishment. However, many homeowners experience the frustration of dandelion weed growth on their lawn. It can be disappointing and make you feel like your efforts for the perfect lawn are futile. Some may want to resort to stamping on the weeds in fits of exasperation, however this can only cause more damage to your lawn. There are safer ways to get rid of them, but before anything else, it’s good to know what the dandelion weeds actually are. Dandelion weeds are a broadleaf perennial that grow in different soils. They spread fast, especially during the early spring. As with other weeds, they are noticeable and unique. Their bright yellow flowers transform into puffballs containing seeds that easily spread throughout your garden. Dandelions lay dormant during the long, cold season, however, the taproot can survive and start the cycle again. You may believe you got rid of a taproot, but they will come back to bruise your lawn. Dandelion seeds can travel quickly in the wind, resulting in a quick and costly infestation. Its natural to want to remove them in one round, but its essential to perform regular treatment to free your lawn from these weeds. While there are many herbicides to choose from, they only come in 2 types: selective and non-selective broadleaf herbicides. Selective broadleaf herbicides are a great solution to putting an end to dandelions, while not posing a potential hazard to the grass. The turf will remain easy on the eyes. Non-selective broadleaf herbicides, on the contrary, can damage other plants. This requires careful application to protect the variety of flowers in your garden. As the most popular type, this solution is effective for spot dandelion weed removal. 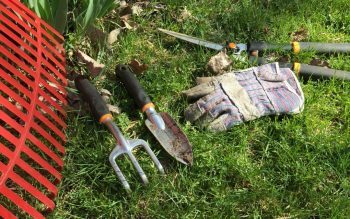 It’s also perfect to remove the weeds in walkways and flower beds. Selective and non-selective herbicides are expert-recommended. They are best to use before the weeds develop flowers. Once dandelions start to blossom, they become resistant to herbicides. When you have a hectic schedule, hiring a qualified professional is good to try. Herbicides can kill dandelions, get rid of other weeds, and keep your lawn in perfect condition, however they are strong formulas that can pose a risk to your lush turf. So, what are the other alternatives you can consider? Hand digging dandelions is excellent. It’s very effective as you can remove even the taproots. The downside is its time consuming and stressful. You can do it every spring and use sturdy pullers. These will help make the process fun and easy. For other tested solutions, contact an expert! Choose trusted and seasoned providers for your needs and requirements. Sometimes, working with a professional is more money-saving than a DIY lawn maintenance program. Get the maximum enjoyment out of your lawn and gardens!